Everyone could be a hero! So did your kids! If your kids loves Marvel character, especially Captain America, then this is it. 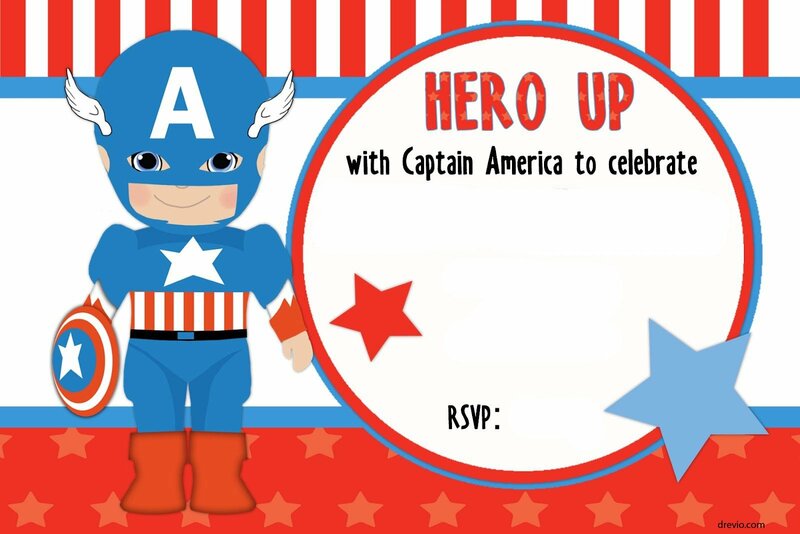 We created a FREE Printable Captain America Invitation template. 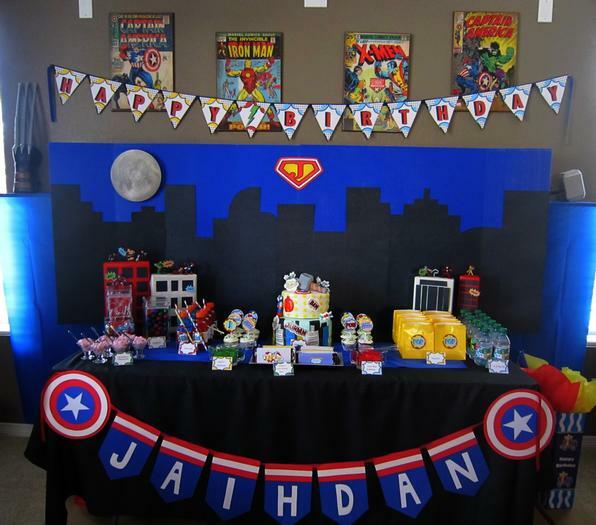 Oops, almost forgot, if you love the LEGO version of this invitation, you can browse LEGO Captain America invitation template. Captain America is identical with a blue, white and red color theme. Just like USA flag. So it will be so heroic, cheerful and fun. Our free invitation is just another way to save your money, instead of spending money more on the invitation. This invitation comes in JPEG format where you can download it directly. Remember, this is for your personal use only. Start download and print this invitation, write down your party details (time, date and location), when you’re done, you can spread the invitation for your guest. You can write down your party details by using a marker or a pen. You can also attach your kid’s photograph on it. Anything you do, it depends on your creativity! Sky is the limit! This FREE Captain America invitation comes in full HD quality, measures 5×7″. 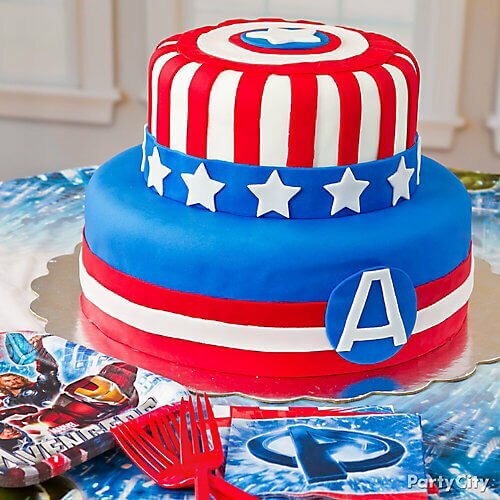 Perfect size for your perfect superhero party! How to Download this FREE Captain America Template? It’s as easy as 1,2,3. Just click on the image, then you’ll be redirected to the image file page. Save the image as, just like you save any image from the internet. You can add any design, if you’re able to operate Photoshop, or Coreldraw. Add some glitter, or text on it. If you need Captain America font you can download it here. Captain America Wording Invitation Ideas. Superhero’s invitation is ready! But you don’t know what to write on the invitation. 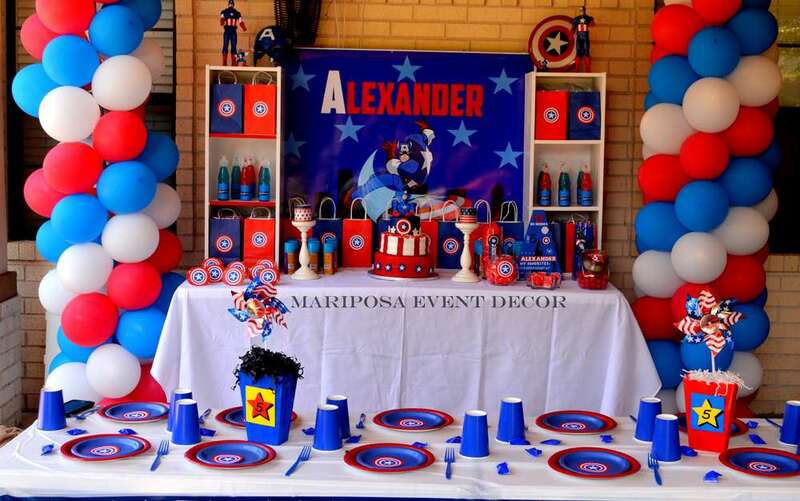 Well, you can use some of our Captain America’s wording invitation ideas to make you easier to decide your text. Here are some of our wording ideas. JOIN US! You are invited to a SUPERHERO PARTY! Captain Johny’s is turning 6! Come help save the day! You’re almost done! 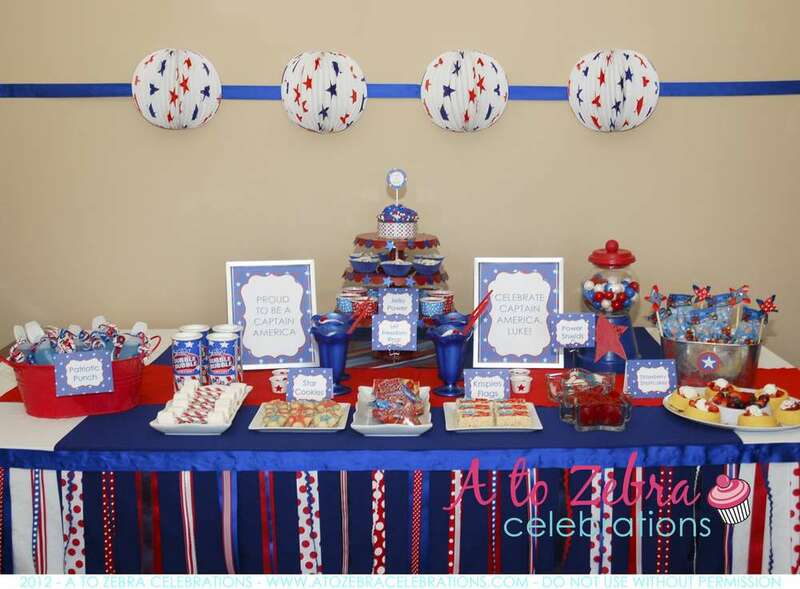 Well, now, we will design and decorate your party to make it more stunning! We have some examples for your inspiration. Please take a look! 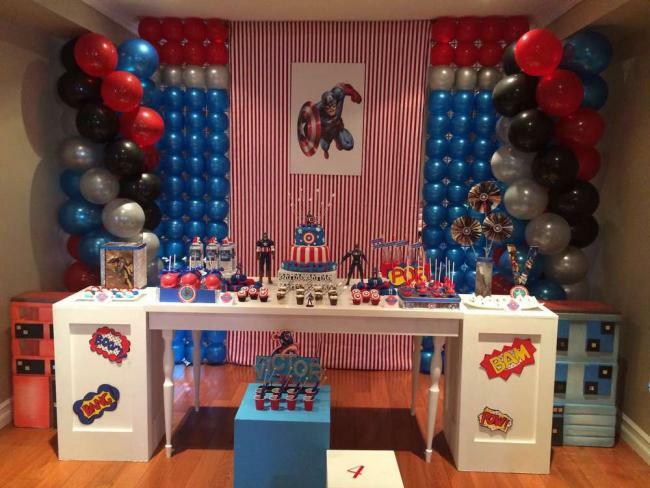 Most Captain America party comes in white, blue and red theme.